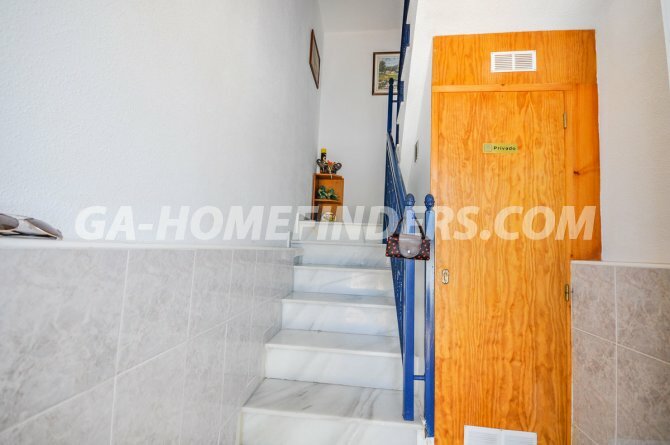 Top floor apartment model Coral, has a terrace at the entrance and independent staircase to go into the apartment where there is also a conveniently located storage room, main door with security blinds, it has 2 bedrooms and 1 bathroom, completely furnished and with kitchen appliances, open American kitchen, air conditioning (hot and cold), the rooms have fitted wardrobes. 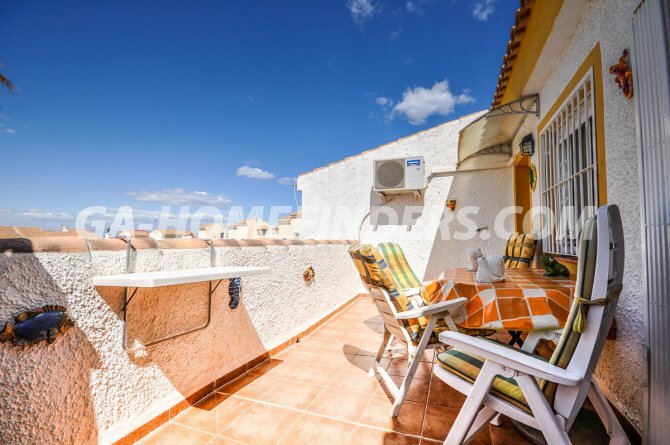 It has a large terrace where you have beautiful views to the pool. 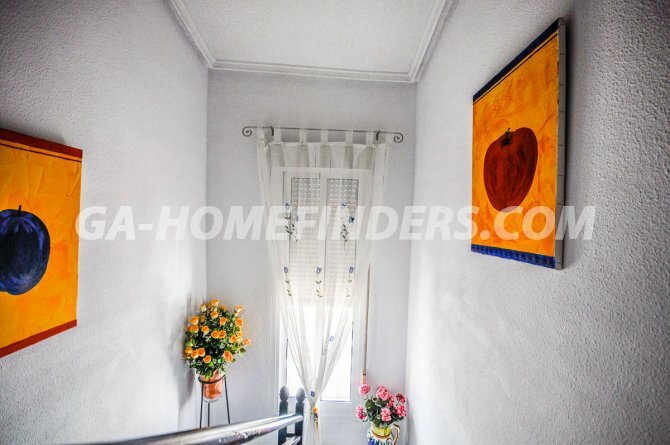 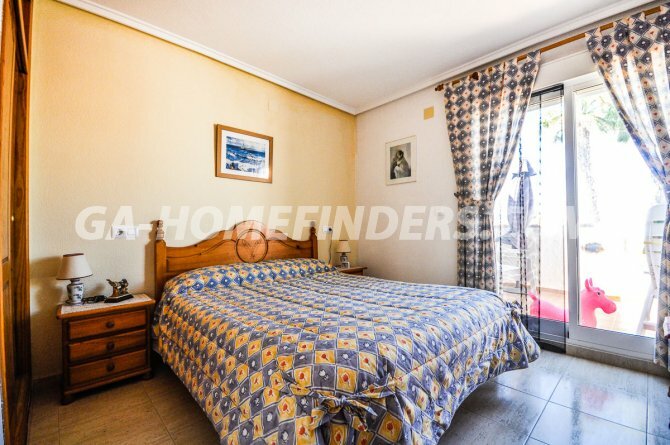 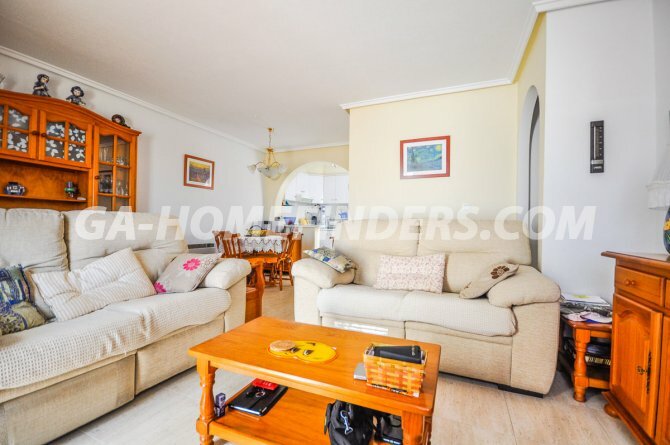 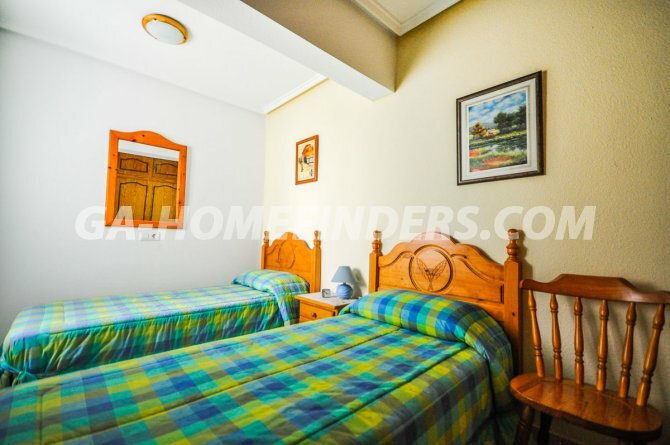 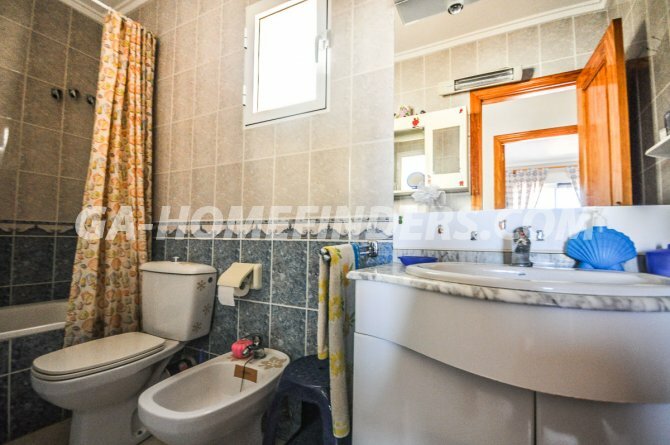 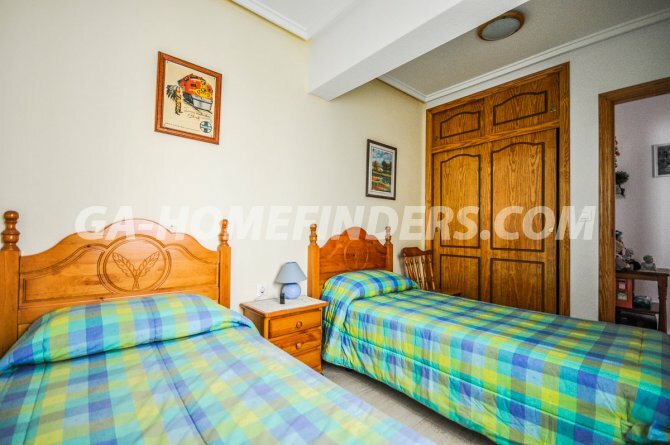 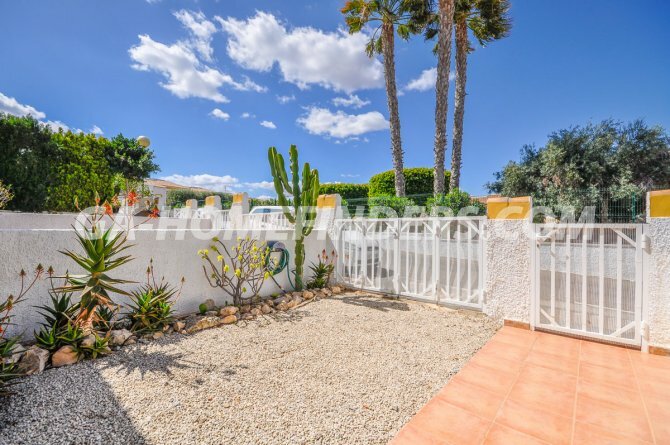 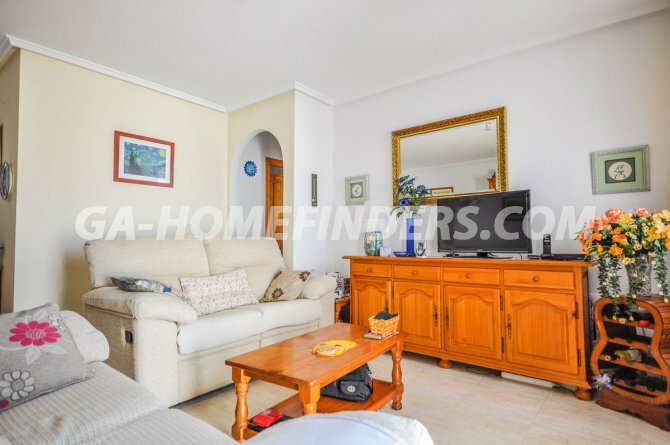 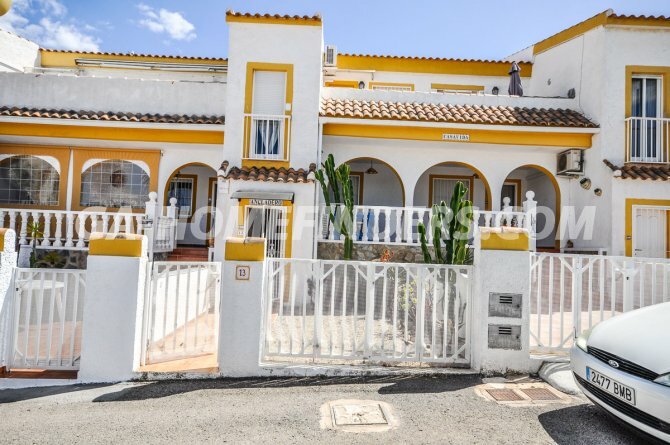 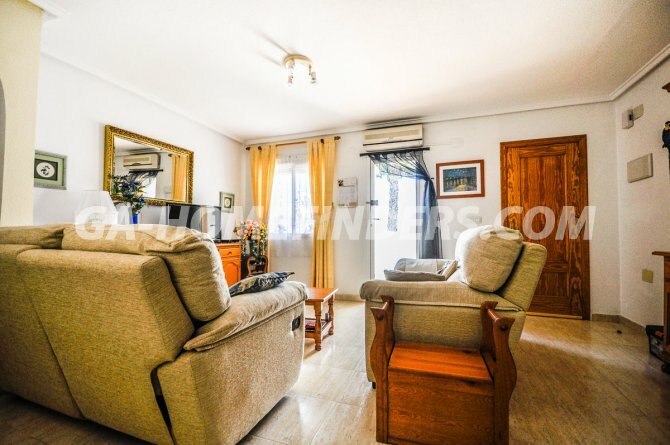 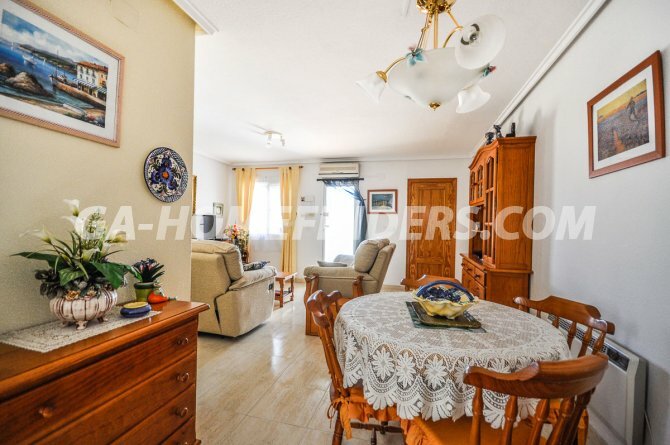 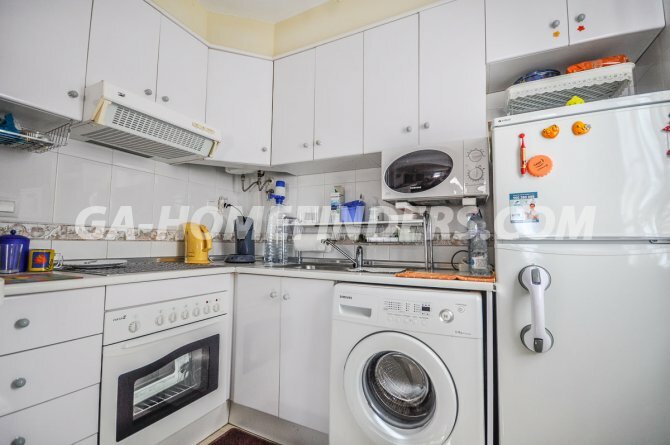 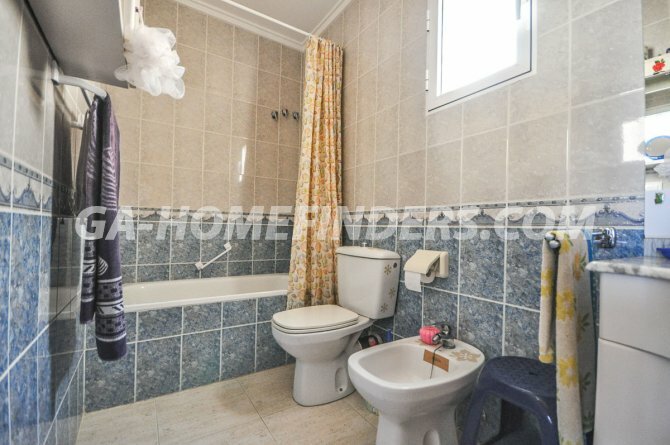 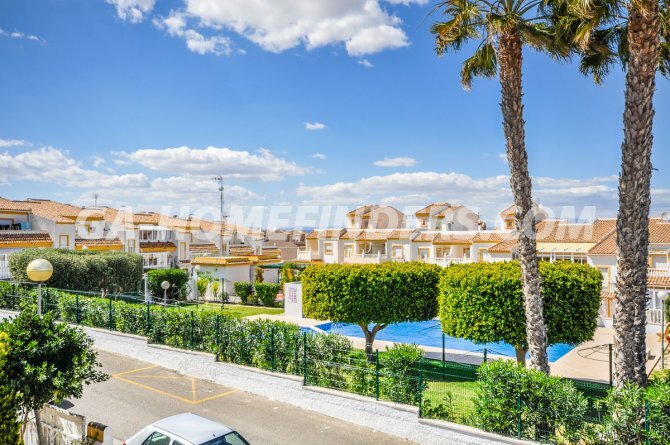 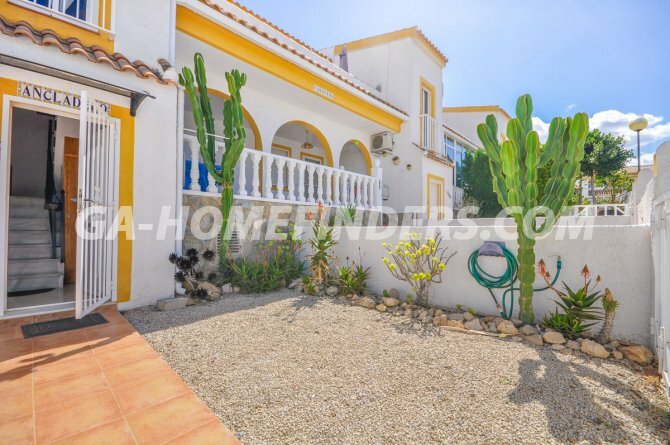 Located in the upper part of Gran Alacant, where it is close to amenities, bars, restaurants, shops, banks, public transport, near the market every Thursday, it is less than 5 minutes by car from Carabassi beach, and less than 5 km from Alicante airport.